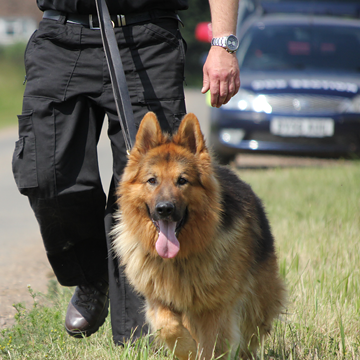 Protocol and Canine Security Services; Security Dog Services in Norfolk. Protocol and Canine Security Services is a young, inspirational, professional security company; building on the principles of exemplary dog training standards to deliver a refreshing approach to the provision of security guards and canines. From empty buildings to public places, we’ve got it covered; a single guard and patrol or a team of handlers with canines. Protocol and Canine prides itself in offering individual clients a professional security service with our trained security dogs. Your specific requirements are assessed by a qualified security officer and we create a bespoke service package that encompasses all your security needs. All you need to do is call. Protocol and Canine Security Services is fully experienced in providing you with access control, stewarding, traffic control and personal searches. To read more please visit our Dog Security Services page.